Work/life balance is a buzz phrase thrown around a lot these days, and that’s a good thing. We’ve come a long way since the Industrial Revolution era of 12-hour, sweat shop shifts. Most of us would agree that paying some mind to your personal and family life makes for a happier, more content society all around. But what is the balance? How much work, how much play? “Balance” may be somewhat of a misnomer, since it does not mean equal hours of work and equal hours of downtime. 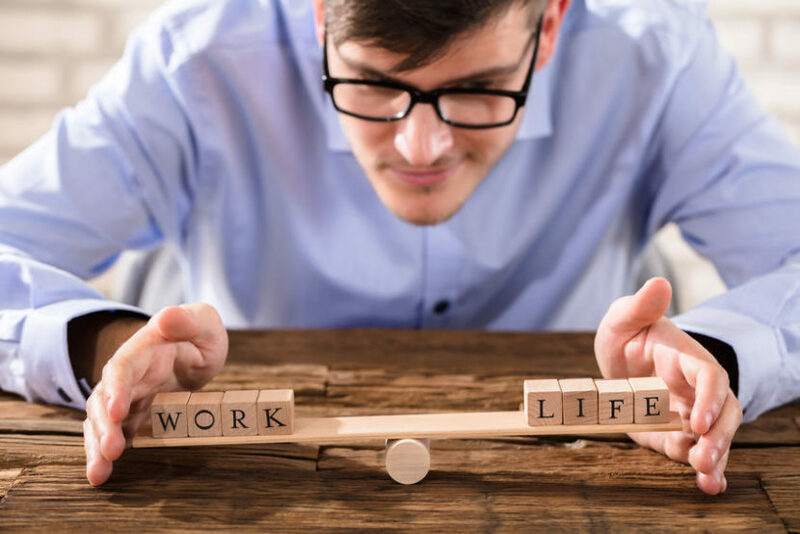 The reason we strive for work/life balance is because otherwise, we tend to fall into a trap. We tend to put off enjoyment for some future date that never comes. Then, one day we wake up and realize we missed it all — the chance to live abroad, the kids growing up, whatever thing we’re putting out of fear we can’t take time off work. So even if it’s not simple, it’s worth examining your various life habits and trying to achieve a mixture of leisure and work that works for you. Work/life balance isn’t just good for the individual; it serves the working environment as well. Employees with a healthy balance are less stressed and less prone to burnout and health problems. Baby Boomers, who were raised at a time when making a living was hard and many were grateful just to have a job, are particularly prone to this stress. Generation Xers are more likely to seek work/life balance, having witnessed their parents’ generation’s work habits and how it took a toll on family life, whereas Millennials are concerned with a work ethic that will support their lifestyles and help pay off their exorbitant student loans. So maybe it is simple, just not in an “hours per day” kind of way. Enjoyment and achievement are both parts of having a life you like. Feelings of accomplishment — be it completing a project at work or mowing the lawn — give us a sense of pride and satisfaction. Times of enjoyment — relaxing with family or on your own with your favorite hobby or kick-back activity — allow us to decompress and appreciate what’s beautiful about life.